As the technology advances, transportation nowadays was made easier and faster. Unlike before, traveling from one place to another is much easier. Many people use transportation to go to work, market, to trade, and to move from place to place. We can never deny that transport vehicles nowadays are now part of our human lives and plays an essential role in daily activities. As many people say, change is the only thing that is constant in the world. That is why as technology advances, our transportation also advances from gas-powered cars to hybrid cars. Toyota Prius became the first mass-produced hybrid car. 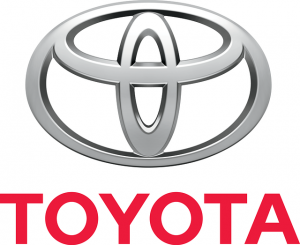 That was developed by a Japanese multinational automotive corporation, Toyota Motor Corporation. This hybrid car was first designed as a Sedan then changed to a 5-door liftback way back 2013 to 2015, then to a 5-door fastback in 2016. Toyota Motor Corporation has been manufacturing hybrid cars since 1997. And their first ever hybrid car is Prius. A hybrid vehicle is automotive that uses two or more different types of power. It uses an internal combustion engine to run the electric generator which powers the electric motor. As time goes by, this car evolved and improved. The Corporation named after the Toyota Prius after the Latin word Prius which means coming before or first. However, despite being called Prius, this car wasn’t the first hybrid car that was manufactured. In fact, in the 20th century, the first hybrid car was invented by Ferdinand Porsche, an Austrian engineer. The first hybrid car invented was called Lohner-Porsche Elektromobil. It was first shown at Paris Exposition. This car can attain a top speed of 38 miles per hour. Hybrid car nowadays is becoming people’s apple of the eye because it is environment-friendly. And one of the most popular hybrid cars now is Toyota Prius. Many people want to know the Toyota Prius battery life expectancy. So, in this article, we’ll discuss it out. Battery life expectancy is the average lifespan of a battery. One the most frequently asked question about Toyota hybrid vehicles such as Prius is its expectancy. So, how long is the battery life of Prius? The battery pack of any hybrid Toyota has a warranty of 150,000 miles or ten years in positions with California. While 100,000 miles or eight years in other states according to Toyota’s National Manager, Environmental, Safety & Quality Communications, Mr. John Hanson. Moreover, the battery can be replaced with no cost during its warranty period. Toyota Motor Corporation has confidence with their battery packs and assured that the replacement of their battery pack is rare. Despite, Toyota’s confidence in their hybrid battery packs, many people still want to know the battery price of a Prius. So, we enlisted below the battery costs of various Toyota hybrid models. The prices for each of these can be lessened by a $1,350 of core credit for the used battery pack being renewed. Also, the labor rates for battery replacement vary from vehicle to vehicle as well as locations. They say that battery failure on hybrid cars is not common. However, we shared below the Prius hybrid battery symptoms and signs. 1. On the dashboard and multifunction display, you will see a Triangle caution sign. 2. Another sign of a failing battery is unusual engine noise. 3. If you experience a sudden drop in fuel consumption from maybe 45 – 22MPG, then maybe your battery is at fault. 4. If your fuel gauge wavers and is showing the wrong reading. 5. Having a sudden drop of battery bar from full battery bar is also a sign of battery failure. 6. Blower fan cools down your heated hybrid. So, if the blower fan comes on regularly maybe your battery is failing. • Excessive mileage – One reason for battery failure from hybrid vehicles is mileage. Mileage is the total distance traveled in miles. That is why to avoid having a failing battery you must avoid excessive mileage. • Temperature – One of the downsides of hybrid cars is its short battery lifespan in places with high temperatures. Excessive heat can increase the pressure buildup in its battery module because of its chemical composition. That is why exposing it under the sun also has an impact on the battery. • Manufacturing Error – Manufacturing error or defect can also be a reason for battery failure. • Aggressive driving – Hybrid cars are not suitable for speed and acceleration that is why aggressive driving may create an impact on the battery and shorten its lifespan. 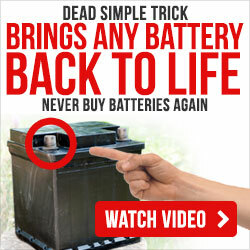 Also, allowing the car in reverse without moving will drain the juice inside the battery. Our nature is slowly dying; our air is being more and more polluted because of gas-powered vehicles, factories and more. Let’s save our nature and move out from gas-powered vehicles to hybrid cars. Hybrid cars are known to be environment-friendly, energy efficient, reliable, and helps us save money on gas. Using green vehicles or hybrid cars can help to lessen the air pollution. That’s why governments are giving incentives to show their support for the use of hybrid cars. 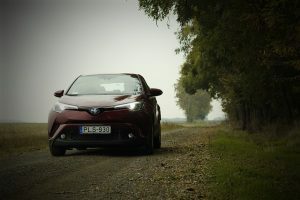 To wrap it up, in this article we talked about the Toyota Prius battery life expectancy as well as its warranty, price, and reasons for having a failing hybrid battery.